News & Media Forget Me Not’s Colour Run is back! Be part of the most colourful fun run in Huddersfield on 8th June at Orchard FM Sports Park. Forget Me Not Children’s Hospice’s Colour Run is suitable for all ages and fitness levels and a favourite for all the family. Run, walk, dance or jog your way round the easy 3.5km course, while being showered in coloured paint powder – so by the end of the race, you look like you’ve run through a rainbow! Taking place on 8th June at Orchard FM Sports Park in Salendine Nook, Huddersfield, just off Jct 23 M62, it’s easy to get to, easy to park and comes complete with café and bar. So don’t forget to bring along friends and family to cheer you on! Visit www.forgetmenotchild.co.uk/colourrun for more details and to buy your tickets! 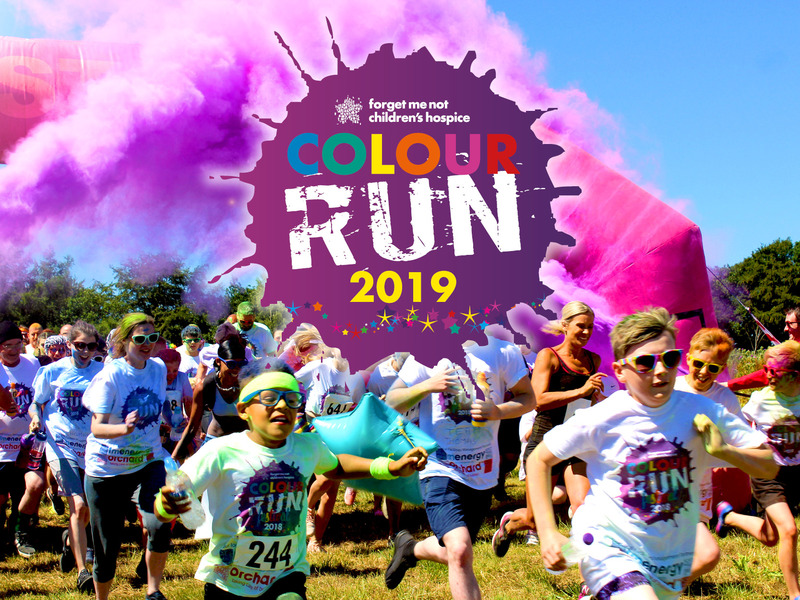 Get set to get colourful and help raise lots of money to support Huddersfield’s only children’s hospice, caring for local children with life-shortening conditions and their families.